SAN LUIS OBISPO — Cal Poly has won three awards among California’s public and private universities and colleges for its sustainability programs in academics, student leadership and waste reduction. The university will be honored for the 2018 Energy Efficiency and Sustainability Best Practice Awards Competition at the California Higher Education Sustainability Conference to be held July 9-13 at UC Santa Barbara. CHESC honors private and public California colleges and universities that demonstrate effective energy efficiency projects and innovative sustainability practices in operations and academics. Campuses include California’s 114 community colleges, as well as the 23 campuses of the California State University system and the nine University of California campuses. Cal Poly’s University Honors Program received a Best Practice Award in the Sustainability in Academics category for a three-quarter, first-year learning experience in which students investigated environmental, social, economic and political facets of sustainability using both a historical and contemporary lens. As individuals and in teams, students researched elements of sustainable communities in a local and global context, while exploring resilience and systems-thinking as strategies for addressing complex problems. The interdisciplinary experience satisfies a general education course requirement and incorporates a number of high-impact educational practices, including collaborative projects, service learning, research, diversity learning and e-portfolios. The University Honors Program, established in 1995, provides an academically enriched learning environment for outstanding and highly motivated students. The program serves nearly 600 undergraduate students in more than 50 majors from all six colleges. The Cal Poly Climate Change Action Research Group received a Best Practice Award in the Student Sustainability Leadership category, which recognizes an individual, program, organization or group that has demonstrated real leadership in student-led energy efficiency and sustainability efforts. The undergraduate research team, which was started in the fall of 2016, was selected by the awards committee as a standout initiative connecting students to sustainability and climate change. The team of 10 students collaborates frequently with the Energy, Utilities and Sustainability Department as well as numerous faculty and staff members across campus. CCARG, which provides students with opportunities to conduct meaningful research in a collaborative environment, has focused primarily on intervention programs to ease the effects of climate change at Cal Poly. The Cal Poly Zero Waste Ambassadors Program received a Best Practice Award in the Waste Reduction category for empowering students to change the norm of the consumer waste stream. The program successfully engages community members and has diverted 90 percent of waste from going to landfill at 25 events over seven months. With nearly 150 volunteers, the ambassadors program has reached more than 14,200 event attendees and diverted nearly two tons of waste from the landfill. Award contributors will present their projects at the July conference. A group of Cal Poly faculty will also present their sustainability research at the event. For more information on the conference, visit https://chesc.org/. 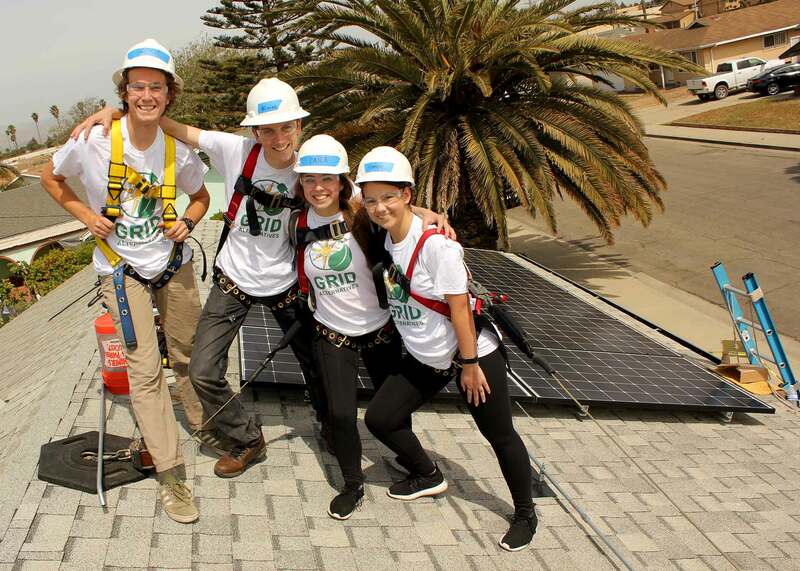 Cal Poly Energy, Utilities and Sustainability, a unit of Facilities Management and Development, is dedicated to the responsible management of the natural resources that impact campus operations. Electricity, natural gas, water and various other resources are critical to operating a successful university, and the sustainable use of these resources is a driving force in Cal Poly campus planning and operations. A renowned leader in sustainability efforts, Cal Poly has received 32 Best Practice Awards from the University of California/California State University/ California Community Colleges Energy Efficiency Partnership Program. The campus has also earned significant CSU funding and utility incentives for energy conversation and continues to be named a Tree Campus USA and Best Workplace for Commuters. For more information, visit https://afd.calpoly.edu/sustainability.